Your first time in Nusa Dua can be a memorable one with this survival guide to this luxury resort area. You’ll find great things to see and do here. The resort you’re staying at in Nusa Dua will most likely already provide you with wonderful dining, pampering and leisure beach activities. Here, we show some places you can head to beyond your resort’s gardens. You can find souvenirs and art items along Nusa Dua’s Jalan Pantai Mengiat. For a modern shopping scene, there’s the huge Bali Collection complex. If you’re an art lover, you can admire the expansive collection of art and artefacts at Pasifika Museum. Follow that with a seaside dinner at the cluster of restaurants next door. Here are a few other ideas to get you started. Nusa Dua was designed from the ground up to be an ‘all-inclusive’ type of tourist destination. It’s the most exclusive beachfront resort area on the island, overseen and administered by a state-owned company. Alongside the world-class resorts, you’ll find an upmarket shopping complex with well-maintained facilities and a luxurious 18-hole golf course. You can enjoy a beautiful stretch of white-golden sandy beaches and many other nearby highlights. Nusa Dua’s beaches are among Bali's cleanest, and are also less crowded than others. There’s a good range of places to discover and great things to do in the luxury beach resort area. Uniquely, you can ride a camel along these quiet coasts! There are some photogenic natural landmarks, as well as some attractions for history and art lovers. The following are our top picks of things to see and do during your first time in Nusa Dua. Nusa Dua's nightlife scene is somewhat low-key. However, you can find great places to go after dark, offering a refined and cultured ambiance. There are luxurious bars featuring live piano soloists and jazz singers. Alternatively, there are lounges where you can sit back with fine cocktails and good company, and even open stages showing traditional dances regularly. Among the sophisticated nightlife of Nusa Dua, these are our personal favourites. Nusa Dua is home to a select group of shopping spots, which offer a nice variety of goods. Although you may find art and fashion boutiques within your hotel, you can also head out for a shopping adventure. Start with a leisurely walk down the art shop-lined Jalan Pantai Mengiat. Be sure to check out Bali Collection, the area’s largest shopping complex. If you like shopping and this is your first time in Nusa Dua, be sure to add the following places to your plan. Nusa Dua is Bali’s exclusive enclave of mostly five-star, international luxury brand hotels and resorts. Therefore, you’ll find no shortage of world-class dining options here. The gorgeous bay also hosts several standalone restaurants, serving an eclectic choice of cuisine with dramatic ocean views. Unfortunately, there aren’t many little local places. If you try nowhere else during your trip to Nusa Dua, we strongly recommend having at least one meal at the following three places. 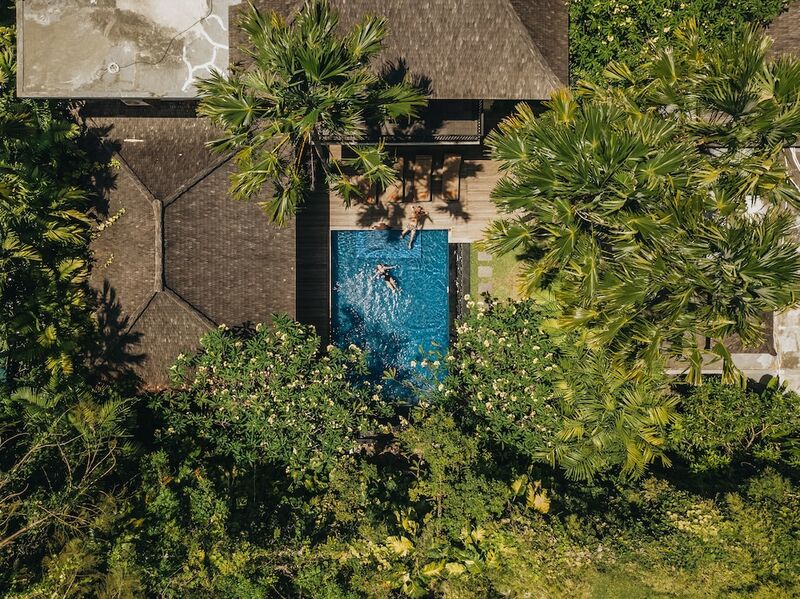 Staying in Nusa Dua means you’ll enjoy a holiday in one of the most luxurious tropical five-star resort addresses in the world. It’s where you can find the most beautiful and sophisticated beachfront resorts in Bali, mostly with landscaped tropical gardens that border the shared total stretch of 7 km of white sand. Naturally, there aren’t too many budget or mid-range properties to choose from. Among the outstanding places to stay for your first time in Nusa Dua, we strongly recommend the following.